Britannia House, Holy Island is a charming, old-fashioned 18th Century cottage soaked of all time and preferably operating out of the historical town of Holy Island and just a quick stroll from all the main destinations this well-known Northumberland location is offering. 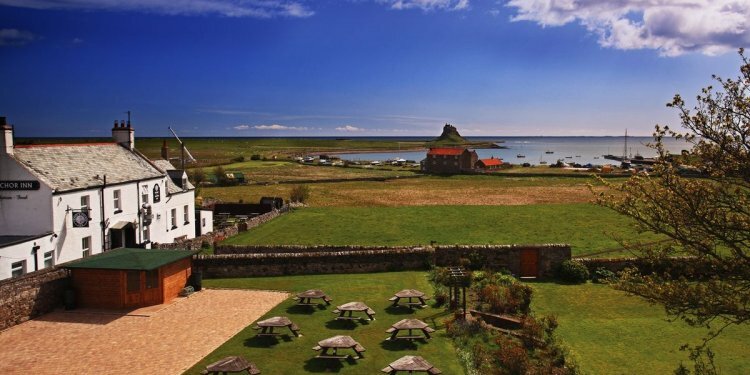 The historical priory, Lindisfarne Castle, Lindisfarne Centre, beach, stores and charming tearooms, get this to cottage an ideal option for households and friends selecting somewhere truly dissimilar to invest any occasion. Britannia House comfortably accommodates 6 friends in 3 bedrooms. There is a roomy king-size bedroom and a bunk room with family members bathroom from the first-floor, with a twin room and separate shower room on second-floor. The primary family bathroom features an shower over bath with WC and hand basin. Downstairs, discover a cosy lounge with a real, open fireplace, ( N.B.an initial beginner availability of logs is offered) perfect for starting to warm up on cooler days whilst curled up on one of the comfortable couches and indulging in an excellent book or, for taking pleasure in some family time playing a game from the choice available in the lounge. There was a drop leaf dining table and 2 chairs in front of the main lounge window which overlooks the town green, where you are able to enjoy your afternoon beverage whilst seeing the comings and goings of life from the Island. In addition when you look at the lounge, discover a flat-screen TV with DVD player and a CD player for your enjoyment. Your kitchen is equipped with an electric powered range and hob, another fridge and freezer, slimline dishwasher, washer, toaster and kettle.The kitchen leads to the dining room with a dining table and six chairs. From the dining area you can access the pretty external patio location that is in the middle of colourful shrubbery and there is an array of outdoor furniture that you can use; ideal for drinks with buddies/ family members on hot summer evenings. Discover parking available close to the cottage. Please be aware this cottage welcomes ONE well-behaved puppy. One more fee applies. Please enquire for details.